In a very small (80 page) book called The Dip, one of Seth Godin’s contentions is that whatever we chose to do (in life and for a living) it is imperative to be THE BEST in it – THE BEST in your world, THE BEST in your market, THE BEST for your consumer, THE BEST for a specific need etc. Else, he says, there is little reason to stick to doing/pursuing/selling something and one is better off quitting the very pursuit. It’s interesting how one specific budget hotel in Amsterdam exemplifies itself as a proof of concept for Seth’s point on being ‘THE BEST’ in the world. 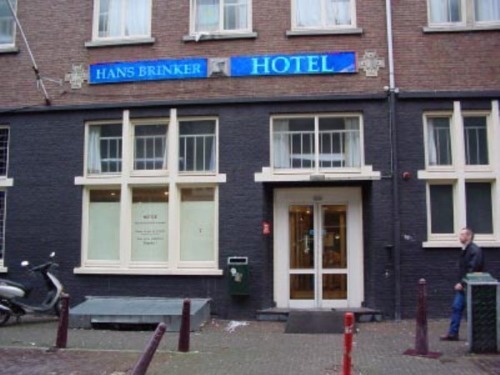 Enter the Hans Brinker Budget Hotel in Amsterdam. What is so special about this place? It is obviously cheap, arguably seedy, apparently run down and potentially awful. And this is all expected regular fare from most backpackers or a super cheap budget hotel that your thrifty friend recommends from his travels or some sort of a ‘hostel’ that you get compelled to chose in the last moment devoid of budget/options or time. What sets this hotel apart from the others is that it actually prides itself at being The Worst Hotel In The World! 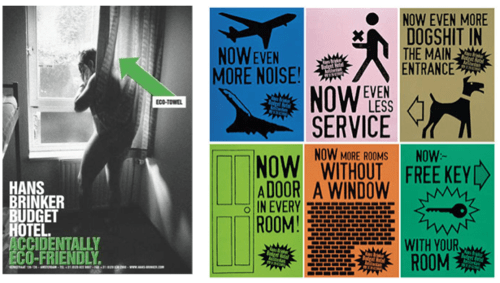 Conceived by KesselsKramer (their website itself is an eccentric, dynamically changing themed concept, and I am yet to get a grip over how ‘it works’ and how it ‘makes sense’), an Amsterdam/London based agency led by Erik Kessels, the campaign is almost a case study of sorts. Purportedly with a brief to create buzz and thereby make a ‘branded noise’ to reach out to the young backpackers who are typically much too aware of the multitude of options to chose from when it comes to travel, accommodation, food, drinks and fun, it looks like a very well conceptualized campaign, and an extremely courageous one at that. And the book has gone out and become a live case study of building a strong brand! 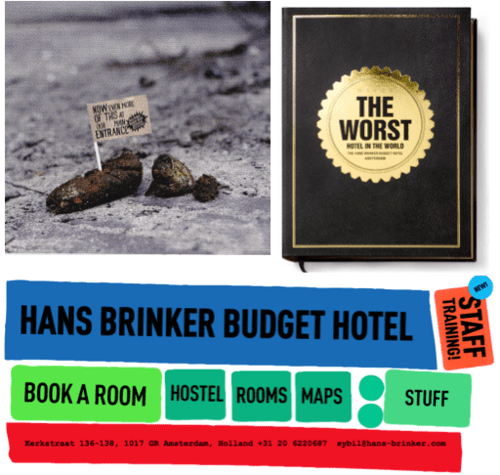 Go ahead, take time and browse through its website, and search for some of its communication material (by simply searching for the ‘Worst Hotel In the World’) and I am sure you would have some interesting bits to reflect upon. A month ago when I blogged about how some brands have turned around a ‘hate-worthy’ attribute about themselves as a virtue, I had little clue about this case – an extremely unique, devastatingly dark in humor, decidedly cheap and funnily scary example of how a brand has actually gone ahead and touted itself as THE WORST IN THE WORLD. This entry was posted in Uncategorized and tagged Erik Kessels, Hans Brinker Budget Hotel, IBC, KesselsKramer, Marmite, Seth Godin. Bookmark the permalink.